Thank you for taking a few moments out of your busy day (or night) to view our classic stock. 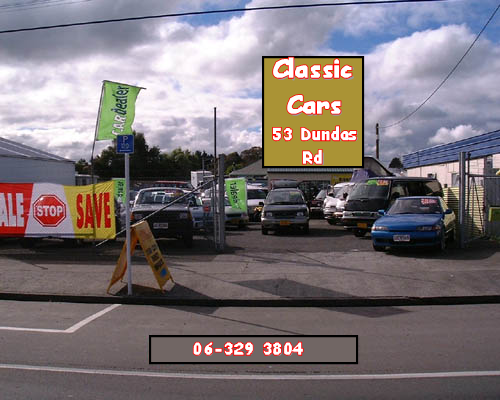 Broadway Auto Court is a family business initially located in Palmerston North and recently relocated to the old Tram Shed (circa 1890) on State Highway 1, Sanson. Unlike most other motor vehicle traders, for us, classic cars are a hobby first, business second. We have a wide range of interest in motoring from veteran, vintage, classic, Australian bathurst cars, muscle cars, motor cycles etc. If there is a particular make or model you require we are happy to find it for you. Classic car valuation is our speciality. We also buy and sell new and second-hand motoring books and magazines. If you have a particular book you are looking for, perhaps we have it, or if you wish to sell any please contact us. We will trade modern or classic vehicle's and can arrange finance to suit. If you are in the market to buy or sell please contact us, or call in, talk cars, browse at the motoring memorabilia, motoring books and magazines.